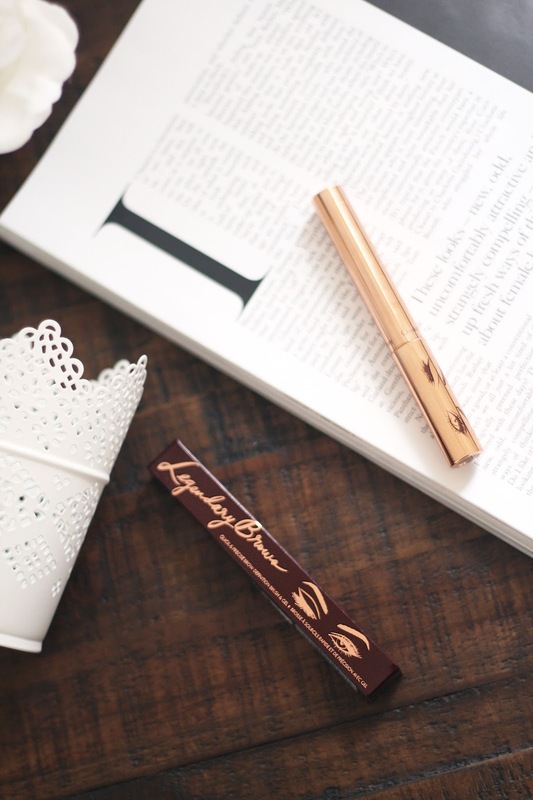 You've probably already guessed that I am obsessed with Charlotte Tilbury makeup, her eyeshadow palettes, hydrating lipsticks and now the Legendary Brows! This is quite a new release and I think I originally saw this product over on Instagram and I was instantly intrigued by that micro brush I just imagined a precise eyebrow gel application and that got me very excited! I always use a brow gel as part of my make up routine, its a step I just can't skip because after all my efforts of pencilling in my brows and sculpting the perfect arch I kinda want them to stay put all day long. I chose the clear gel as I already have products to fill in my brows which are the perfect colour and I'm happy with them, I just need some structure and longevity so I thought the clear would be perfect! Legendary Brows is filled with nourishing vitamin E, castor oil to strengthen those hairs and elasticising wax. 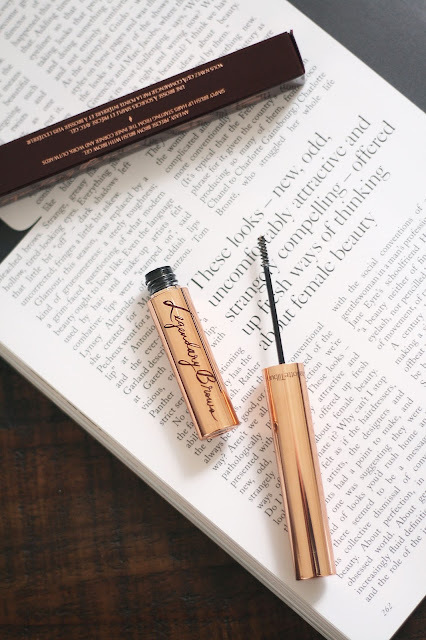 I've never come across another brow gel that is filled with such goodness, but does it work? Basically yes it works wonderfully! My absolute favourite thing about this product is the super precise brush, application is just so easy and I can really get all of those fine hairs which makes such a difference especially if you have sparse brows like me...every hair counts ladies! It really fluffs up the inner part of your brows and I love that look, also you aren't left with crusty brows either which many other gels do. Even after sculpting my brows with my usual products after I've applied Legendary Brows I'm left with a natural look not pencilled in and flat. Have you tried Legendary Brows?